Buying a home can be one of life's most exciting experiences—and one of the most challenging. Navigate the real estate market with professional guidance from Eastern Plains Real Estate, helping you buy farm and ranch properties in Colorado and Kansas. Contact us to schedule a meeting with one of our licensed real estate agents about our residential, commercial, and agricultural property listings. ...and remember, if we don't have it, we can find it! 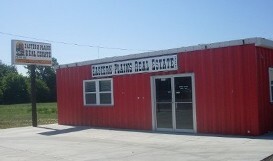 for residential or farm and ranch properties in Colorado & Kansas.